Sebastian Bach is sharing an update on his health as he recovers from a recent hernia operation. 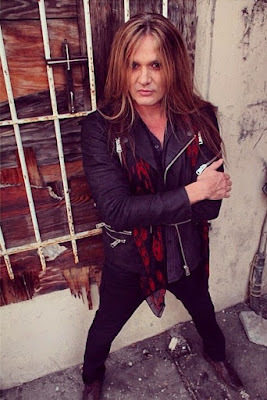 Last month, Bach shared the news of the operation with fans via his social media sites, writing, “This is the first surgery that I have had since I got my nose broke at the Motley Crue show,” referring to a 1997 incident. “Don't worry, the anesthetist has been warned! I'm kind of nervous but that's how it goes I guess. This surgery has nothing to do with my voice, or my throat, at all, but it IS singing related. Prior to the procedure, Bach performed a handful of US dates in June, and will return to live action with an August 27 date in Hull, UK. Bach will then appear at the Rock And Roll Fantasy Camp featuring Judas Priest next month. Billed as “Hell Bent For Hollywood”, the September 14-17 event will provide participants with the opportunity to jam alongside Bach and Priest members Rob Halford, Richie Faulkner, Ian Hill and Scott Travis, and features guest counselors including Vinny Appice, Rudy Sarzo and Alice Cooper guitarist Nita Strauss, among others.